The U.S. has been out of the recession woods for more than a decade, but economists are predicting that the country will be back there again soon. 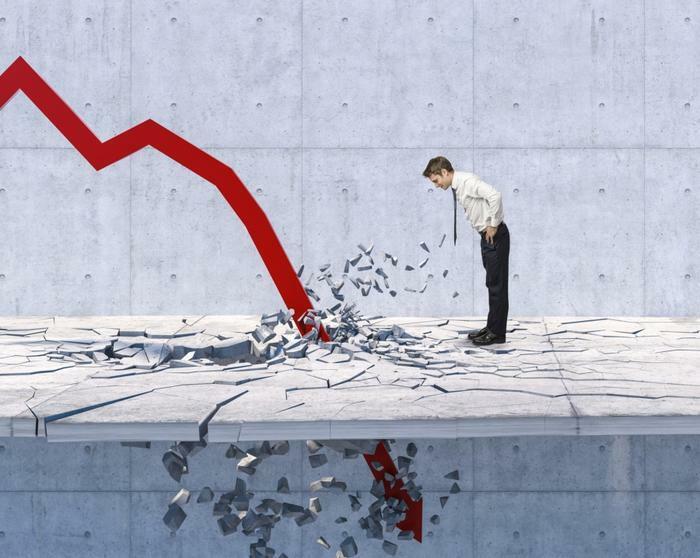 In a just-published study by the National Association for Business Economics, 77 percent of the panelists surveyed expect another financial crisis no later than 2021. “While only 10% of panelists expect a recession in 2019, 42% say a recession will happen in 2020, and 25% expect one in 2021,” said NABE President Kevin Swift, CBE, chief economist at the American Chemistry Council. “A majority of panelists also indicate they would be worried about a budget deficit in the U.S. that equaled up to 4% of gross domestic product (GPD). * This is an outcome which will likely occur in 2019 given the deficit for fiscal year 2018 was 3.85%, and respondents expect spending policies to increase the deficit compared with the Congressional Budget Office’s current 10-year baseline estimate.” *The current GDP is 3.4 percent, according to The Balance. For the moment, the U.S. is still showing signs of economic expansion. If the expansion makes it past May, it would qualify as the nation’s longest ever. Consumer spending -- the largest component of the GDP, contributing 70 percent to the economy -- is in a good place, and cash registers rang louder this past holiday season than they have in six years. However, there are signs of an economic slowdown peeking out from behind the curtain. Those signs run the gamut -- from gas prices to the U.S.’ trade war with China and also to interest rates. Unemployment is also at its lowest point in a long time, and while that sounds like a good thing, many college grads are out of work and other Americans are juggling multiple jobs to keep their personal lives afloat. Helen Thompson, professor of political economy at the University of Cambridge, proffers that the curtain needs to be pulled back further, especially on metrics that seem positive like those low unemployment rates. “The official US unemployment rate stands at 3.7 percent, the lowest since 1969. But this masks a notably low participation rate (62.9 percent), as significant numbers of people have withdrawn from the labour market. Ever-fewer jobs sustain middle-class lifestyles, especially in cities where housing costs have risen over the past decade,” Thompson wrote in the New Statesman. “A recession always comes in the end, but the matter of foretelling when is a hazardous exercise at best. Indeed, recessions can remain out of sight to policymakers even when they have begun,” Thompson said. Those policymakers behind the country’s financial wheel seem to be doing what they can to keep the economy from stalling. However, they also have their push-comes-to-shove days with the White House. President Trump has not let up in his criticism of the Federal Reserve for its policy of raising the federal funds rate -- famously calling the Fed's actions "crazy," and claiming that the higher interest rates will slow the economy. That, of course, is the Fed's objective -- at least, preventing the economy from growing so fast that it unleashes inflation. The Fed has a powerful team championing its cause. “Business economists continue to approve of current monetary policy,” Swift said in a summary. “Nearly three-quarters of panelists believe that the Federal Reserve’s policy is ‘about right.'" Could rising gas prices bring on a recession?